Firetrol Products has long been a leader in our industry, providing a wide variety of electric and diesel fire pump controllers. At Steven Brown & Associates, we’re proud to carry this line of Firetrol controllers, which customers have found to be affordable and reliable. Today we want to highlight some of the options available on the latest controllers. 2. 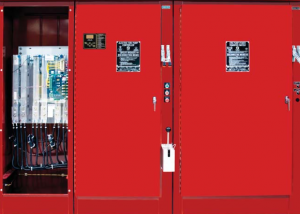 Electric Fire Pump Controllers – We offer a dozen different electric fire pump controllers and would be happy to help you find the perfect one for your application. Below you’ll find our list of electric fire pump controllers, and if you click on them you can browse brochures outlining features of each. 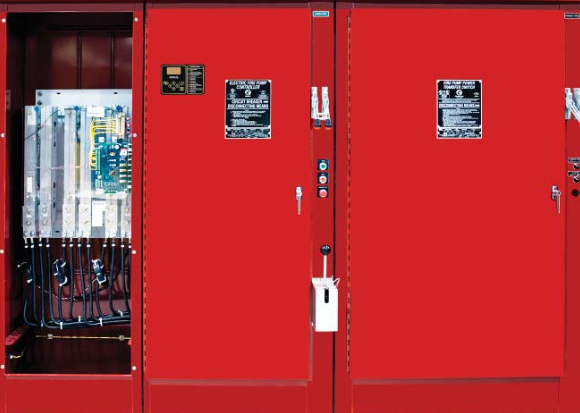 If you’re looking for descriptions, submittals, O & M or other resources about the Firetrol electric fire pump controllers, visit our downloads page. 3. Jockey Fire Pump Controllers – If you’re looking for a new jockey fire pump controller, we feature two great choices from Firetrol – FTA550E XG and FTA550F. The FTA550E XG excels in its role of maintaining pressure in fire pump installations. This is vital in preventing unnecessary operation of the main fire pump. Features include UL & NFPA 70 approval, NEMA Type 2 enclosures, full voltage starting, and all the standard features you’d expect. The FTA550F is similar to the FTA550E XG except for these few distinct differences: The FTA550F uses a NEMA Type 2/12 (IEC IP22/IP52) polycarbonate enclosure (UL50E Construction) rather than the FTA550E XG’s painted steel enclosure. The FTA550F also includes a horsepower rated motor circuit protector and starting contactor, whereas the FTA550E XG has a circuit breaker and horsepower rated motor starter. If you’d like to learn more about these great product offerings, visit the downloads page of our website. Here you’ll find a variety of PDF resources for each Firetrol controller. You can also give us a call at 302-652-4722, and we’ll be glad to discuss any of the great Firetrol products with you. Posted in Fire Pump Controllers, Jockey Pumps, NFPA and tagged diesel engine controllers, electric fire pump controllers, firetrol products, jockey pump controllers, nfpa 70 on March 26, 2018 by admin.